Mary Lou Basaraba, Director of Music Ministries at Grace, has recently added yet another feather to her cap! She has been appointed Chorus Master for California Philharmonic Orchestra. Through her auspices, the Grace children's choruses will have the opportunity to become the official children's chorus of Cal-Phil and perform in such classics as La Boheme and Hansel & Gretel. Besides her work at Grace, Maestra Basaraba is the Chorus Master of the Redlands Bowl Festival Opera for which she prepared the chorus for The Barber of Seville, Tosca, La Traviata and Madama Butterfly. 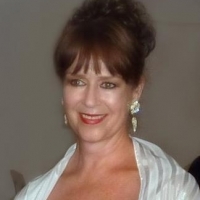 She was the Artistic Director of the 2007 Peace Through Music concert presented by the Pasadena Human Relations Commission and, as the Artistic Director of the Nevada State Opera, she produced La Bohème, Carmen, Madama Butterfly and Don Giovanni. Cal Phil Chorale Chorus Maestra, Marya Basaraba, is originally from Montreal, where she studied Orchestral Conducting with Maestro Alexander Brott and Choral Conducting with Wayne Riddell at McGill University. She has an eclectic performance background as an actor, television and radio host, operatic and symphonic soloist, vocal coach and choral conductor. She was the Co Founder of the Southern California Chamber Orchestra and is the Director of Music and Performing Arts Ministries at Grace Lutheran Church and Chorus Master at Temple Akiba, both in Culver City and the Music Director of the Spirit Alive Fellowship in Irwindale. She is a highly acclaimed soloist with an extensive repertoire of both soprano and mezzo soprano roles in Aida, La Traviata, Un Ballo in Maschera, Il Trovatore, Tosca, Madama Butterfly, Gianni Schicchi, Carmen, Cavaleria Rusticana, I Pagliacci, Don Giovanni, Le Nozze di Figaro, The Magic Flute, Cosi fan Tutte, Die Fledermaus, Der Rosenkavalier, The Mikado and the Mothers in Amahl and the Night Visitors, Hansel and Gretel and Albert Herring. Her symphonic repertoire includes Mahler's Fourth Symphony, Barber’s Knoxville: Summer of 1915, and the soprano and alto solos in Beethoven's Ninth Symphony. Ms. Basaraba's oratorio repertoire includes the Mozart, Duruflé, Fauré and Verdi Requiems, Rossini's Petite Messe Solonelle and both the soprano and alto solos in Handel's Messiah and the Vivaldi Gloria. She has performed with the San Diego, Victoria, Texas, Vancouver, Newfoundland, West Coast and Montreal Symphonies, the Strauss Symphony of America and the Torrance, Marina del Rey/Culver City, Rio Hondo, Bellflower, Los Angeles Doctors, San Bernardino, Pacific Palisades, Inland Empire and Channel Island Symphonies; the San Fernando Valley, Antelope Valley and Riverside Master Chorales, the Tudor Singers and Le Studio Ancienne de Montreal, the Toronto Operetta Theater, L'Opera de Montreal, L'Opera du Chambre de Quebec, Grand Theatre de Geneve, Bel Canto Opera, Mukungwha Opera, Arizona Opera, Nevada State Opera, Opera East (Nova Scotia), Santa Clarita Light Opera, Redlands Bowl Festival Opera and the Long Beach Opera.